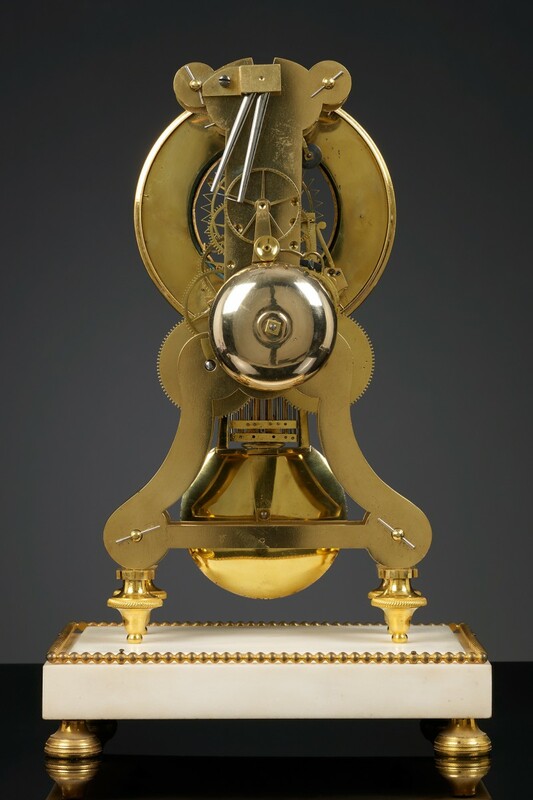 A 15-day going train with pinwheel escapement and compensation pendulum. Indication of central hours, minutes, seconds and date. The going train strikes on the hours and half hours. 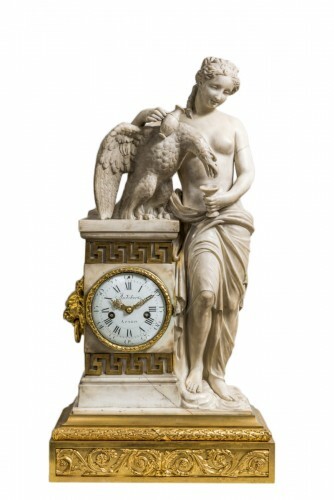 The mantel clock has a white marble base on four gilt bronze feet. 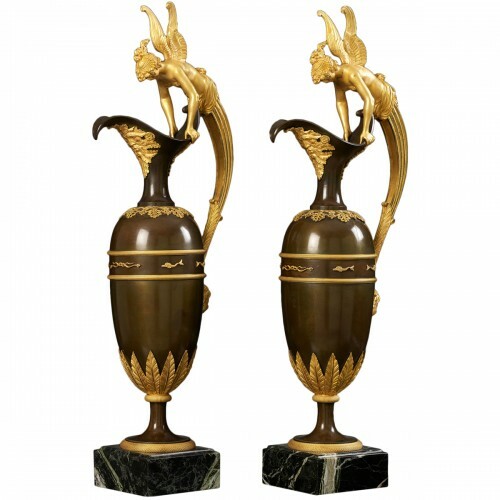 The top of the marble base is framed with a gilt bronze beaded edge. 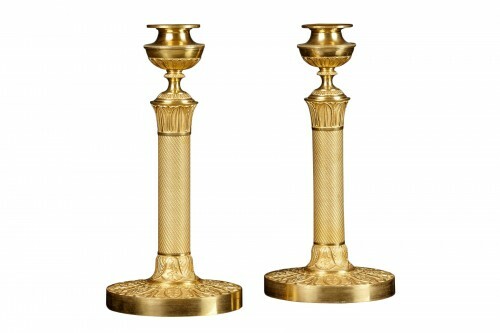 The brass frame stands on four adjustable toll-shape feet. 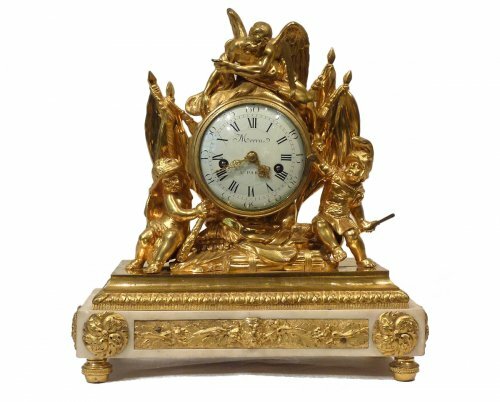 The open enameled dial is framed on the outside and on the inside with a gilt bronze profiled edge decorated with leaf motifs. 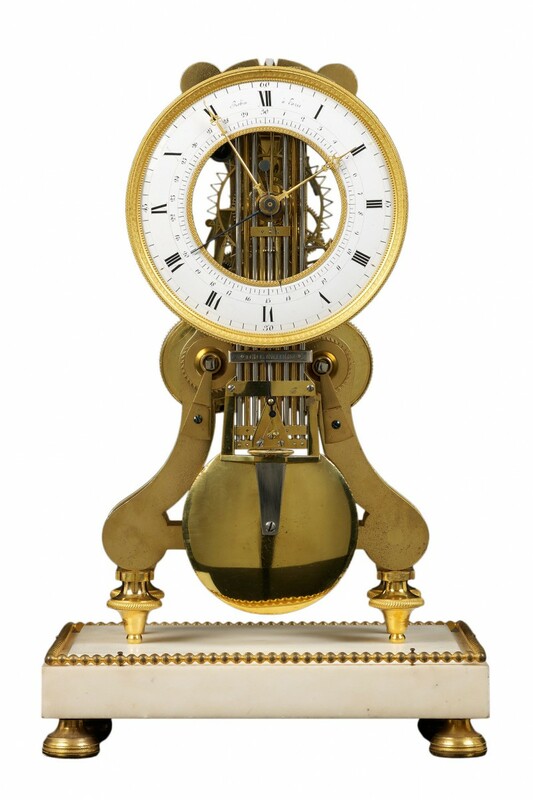 The hour and minute hands are made of gilt bronze, the hands for the seconds and date are made of blued steel. 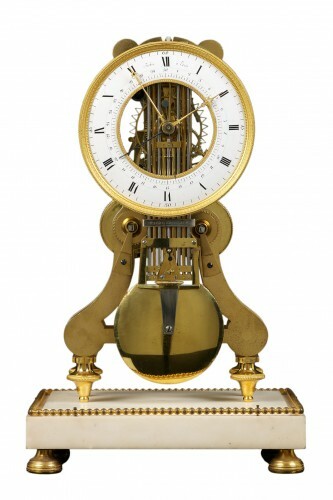 The case of this clock is of a later date. 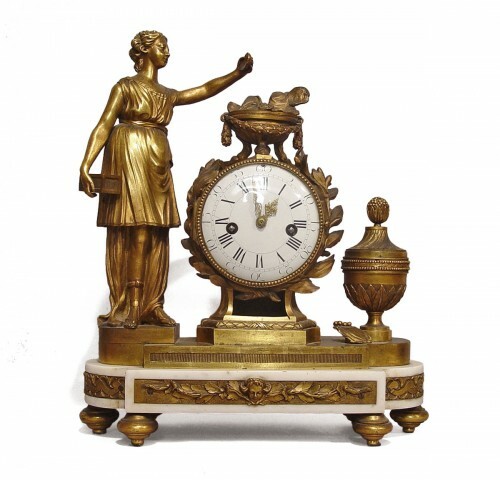 Robert Robin (1742-1799) came from a family of clockmakers. 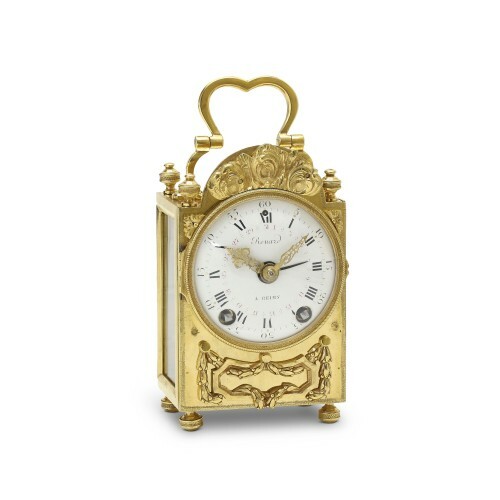 In 1767 Robin became maître horlogier in Paris. 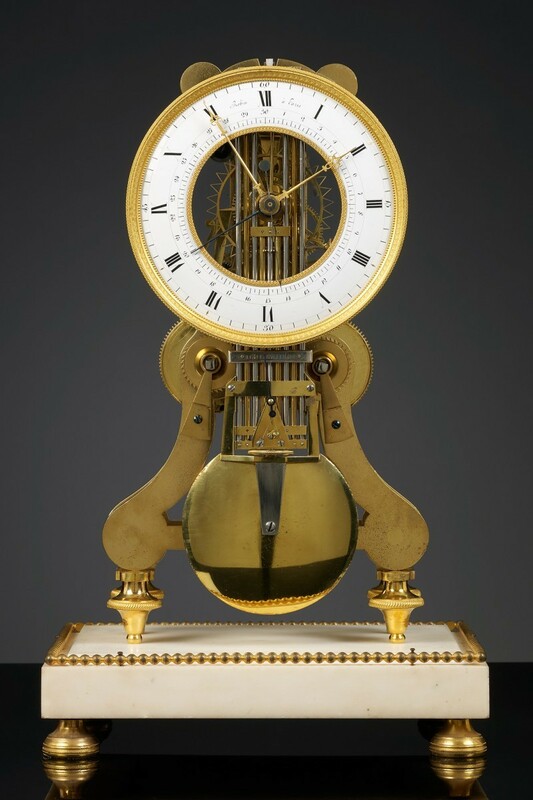 From 1772 onwards he worked from the rue du Faubourg St. Honoré. 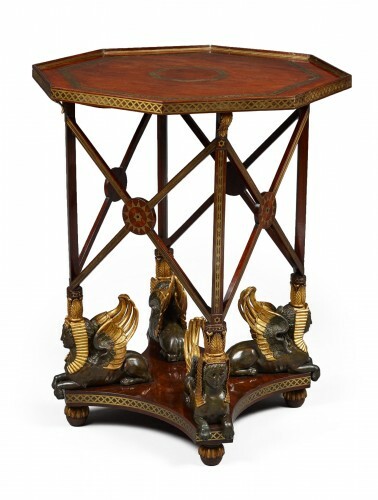 In 1785 he was assigned a house and workshop in the Louvre. 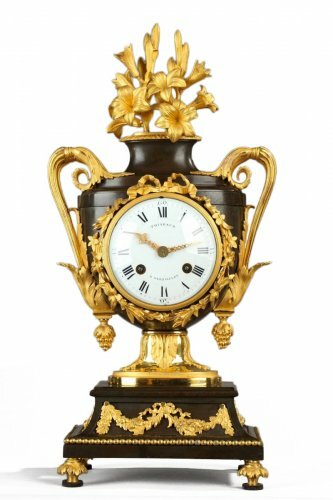 From that moment on he almost exclusively worked for the Royal Household and also published works on the clocks of the Royal family.